It's easy sometimes to overlook the impact artists can have on our lives until it's too late. As the saying goes, we often don't know what we've got until it's gone. Such is the case with the late, great Tom Petty. It's not that we ever ignored him or stopped paying him mind, but sometimes you just take for granted that which you think you'll have around for a long time. Tom Petty always seemed to be that indomitable spirit of rock n' roll, the perfect amalgamation of reckless free spiritedness and artistic purpose. As much a given in the world as the sunrise and sunset, as the changing of the seasons. So needless to say, his loss is still very much felt by many around the world. Though there is nothing inherently good about losing one of the greats, it does provide a good opportunity to look back and reflect on what Petty meant to us, and all that he gave us. So on his birthday today, let's take a look at all Tom Petty gave the world. Everyone has a favorite, and almost everyone can remember the first Tom Petty track they fell in love with (or along to). A prolific songwriter and musician, you could take almost any album he worked on and find several number one hits and instant classics. Even if you grew up listening to Petty only to drift away later on, it's always easy to find yourself coming back to his work. All these years later, I still count "Learning to Fly" as a favorite. Perhaps one of the most under recognized gifts Petty gave us are the innumerable artists that took his inspiration to create great works of their own. It's because of him and his influence that we have artists such as Dave Grohl, Ryan Adams, Taylor Swift and even Vampire Weekend, all of whom count themselves as fans and as having taken inspiration from him. Even with Petty gone, there will doubtless be many more influenced by him. I will always defend King of the Hill as being a seriously slept-on, amazing show. If you never tuned in, then you missed out on perhaps Petty's greatest performance ever, as the voice of the one un-"ed-ju-macated", slipping in urine Lucky Kleinschmidt. Hailed as one of creator Mike Judge's favorite guest spots, Petty flexed his multifaceted talents for several seasons as the oafish but lovable Lucky. Call me biased, but Super Bowl 42 will always go down as one of the best of all time. The electric joy in watching my underdog Giants upset the Patriots was matched only by the energy delivered by Petty during his halftime performance. For one of the greatest, it was only fair for him to perform on the most-watched event of the year. In typical fashion, he absolutely nailed it. It's a real testament to Petty's skill and drive that he was still touring even up before his death. It says even more that in the midst of his tour, he took the time out to grant a dying fan's wish to meet him and see him perform one last time. For Laury Myhre, seeing Petty was a wish come true. Although a major rock star, Petty never stopped looking out for his fans. After making it big in the late 70's, MCA Records wanted to raise the price of Petty's record from $8.98 to $9.98, a difference that today translates to almost 4 dollars. Angered by their apparent deception, Petty threatened to rename Hard Promises to $8.98 until MCA relented, which they did. A victory for Petty and his fans, and an important moment in musicians standing up to exploitative record practices. 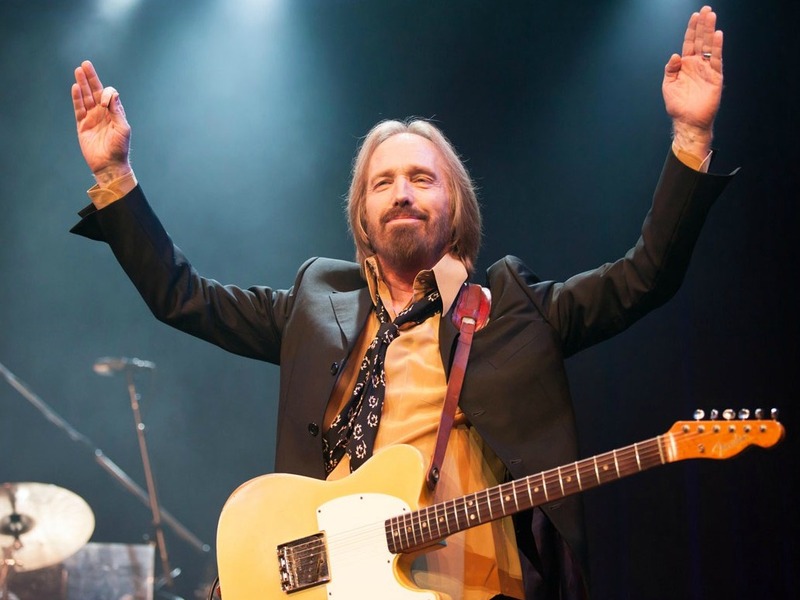 An all around generous man, Petty was also very active in charity work, especially with the MusicCares Foundation, which provides medical and financial help to those in need in the music industry. In 2017, Petty was named their Person of the Year for all the work and contributions he made. There is no definitive measurement for induction into the Rock and Roll Hall of Fame. Record sales, fame, and even your name up in lights won't guarantee getting in. It is only the staying power and long-lasting influence that Petty possessed that earned him a spot on the list of the greatest. Petty's passion for sharing his music, a passion that wouldn't be tempered by age, is what made him one-of-a-kind. Here's one last song, Petty's last one on stage, till we see him again on the other side.